At Crash Pad Designs we aim to make decorating your home a little easier and a lot more interesting. 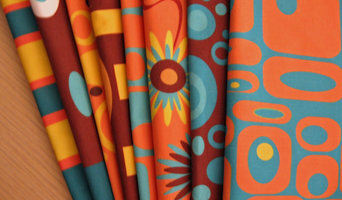 Our mid-century modern inspired designs are fun, stylish, and functional. Always retro, but very modern. Our funky shower curtains, mod throw pillows, modern duvet covers and more allow you to style your home, without recreating a page from a catalog. Crash Pad Designs are all digitally printed and meticulously made in the US. We have been producing luxury bedding for almost thirty years. Our talented craftspeople span 500 years of experience in making duvet covers, comforters, bedskirts (or dust ruffles), coverlets and just about anything for top of the bed. We try to make the ordering process easy and quick by either ordering online or contacting one of our friendly customer service representatives. 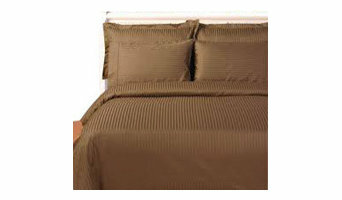 In addition to designer bedding we now offer an extensive assortment of Egyptian cotton sheets in both white and ivory. These fine Egyptian cotton linens are offered in thread counts spanning from 300 threads per inch to as much as 1500 threads per inch. We use the finest fabrics from dupioni silks, damasks, crewels, linen and Egyptian cotton in all of our luxury bedding products. Each bedding collection is hand-crafted in our own workroom and shipped directly to you for the very best in quality and price. We are a group of craftsman located in the suburbs of Philadelphia who fabricate and install all of our units. 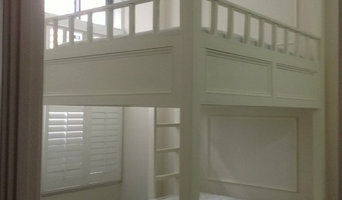 We specialize in building beautiful pieces of furniture, mainly wall beds/murphy beds/peekabeds. We are online retailer, and our specialty is rare and amazing products. Working with all major vendors in US and Europe. ESF Home Textile, LLC is the US branch of Trakyalilar Kumas, a family-owned home textile company that has been at the heart of textile industry in Turkey for nearly a half-century. The headquarters of the company is located in Bursa, Turkey, a traditional center of the textile commerce and production since the 15th Century. We have also offices in Ankara, the capital of Turkey, and in Changshu, China. he company is a member of Bursa Chamber of Commerce and Uludag Textile Exporters’ Association. SHEEX is a performance lifestyle brand. We specialize in performance and technologically advanced sheets, comforters, and mattress pads // leisurewear, sleepwear and novelty travel items. Like your favorite athletic wear, SHEEX® performance fabric sheets are made of high performance material that wicks moisture, stays cool to the touch, breathes easily, and dries quickly. Maintaining a cooler core body temperature is essential to restful sleep, and SHEEX® sheets regulate temperature better than natural fabrics, helping you to wake up more rested and ready for the day. High performance fabric sheets developed with your must-have technical performance qualities. This ultra-stretchy fabric is lightweight, breathable, temperature regulating, sweat-wicking and quick drying [just like your favorite athletic wear]. Perfect for hot sleepers. InnStyle, a wholesale fine linens supplier for bed, bath and dining for the innkeeping industry, was established in 1952. A family business, we began by providing hotel fine linens to local bed and breakfasts, country inns and restaurants in our local community. We expanded nationally when we saw there was a need for innkeepers to purchase fashion at wholesale pricing. Over the years, we have expanded our product line to fulfill the needs of our customers who prefer “one stop shopping”. Debage.....Where old world elegance meets modern day style. We invite you to feel the rich textures, the warm colors, and quality of the exquisite pieces in our design lines. Headquartered in the United States, Middle East and Europe, Debage brings sophistication to today's interiors with hand-worked appliques, crystals, beading, and trims to the world's most luxurious fabrics. If you are looking to create an environment that speaks of fine living, Debage offers individual masterpieces in each of the window treatments, sheer net panels, bedding, throws, table linens, and pillows that we create. Our inspiration comes from the great palaces of Europe, the seascapes of the Meditteranean, historic gardens, and the simple and beautiful elements in our daily lives. We have found the most skilled artisans from around the world to bring these inspirations to life and into our interior design creations. Debage uses only handmade silks, rich velvets, linens and natural fibers to create our unique, handcrafted designs. All materials must pass a rigorous quality assurance test by our specialized team before they can be placed in our inventory. We are a GREEN company based on the fact that we use only natural, vegetable oil based dyes for our fabrics. Beautifying homes and commercial interiors around the globe is one of our founding principles. Debage product lines have been featured In Neiman Marcus, Horchow, Country Living Magazine, Good Housekeeping, Magazine, House Beautiful Magazine and Style.com. MysticHome features high-quality, made-to-order bed linens at great value with quick delivery, especially for the discriminating online consumer. MysticHome designs duvet covers, shams, pillows, bedskirts, sheets, coverlets, and matelasses organized as bedding ensembles. MysticHome collections feature rich colors, patterns, and textures in cotton, linen, faux silk, and blends, accented by backs made from solid-colored cotton and polyester fabrics. All MysticHome designs are made to order in the USA by American workers, and in-stock products ship within three weeks of client order. MysticHome's collections are available now on Houzz, with more introduced on a regular basis. These designs play to historic strengths in collections for the finest homes at the seaside, in the mountains, and everywhere in between. Please preview and purchase our new designs here on Houzz. Since 1979 our family of experts has designed, manufactured, installed and refaced more than 50,000 beautiful kitchens and baths. One of the most common problems in bathrooms is lack of storage space. Buying a bathroom vanity at your local building supply store may be the answer, but for more challenging storage solutions, you’ll want to contact a Norristown, PA bedding and bath manufacturer or retailer that specializes in custom storage options and unique bathroom furniture and accessories. From heated towel bars to shower curtains, use the Houzz Professionals listings to find Norristown, PA bedding and bath retailers with budget-friendly bathware and modern bath accessories. Some bathroom remodelers specialize in affordable equipment like grab bars, safety tubs and showers and other bathroom accessories designed for those with different physical needs. Does your bathroom need converting or upgrading for special needs? Is it time to wake up your master bedroom with some new bed linens? Since that very first white sale in Philadelphia’s John Wanamaker and Co. department store in 1878, January has always been a good month to buy bed linens. Those looking for hand-crafted custom bedding and draperies can find a Norristown, PA company that makes and sells quality bed products. Many bed and bath retail outlets sell a smaller selection of exclusive brands.